Max (Louis CK) and Katie (Ellie Kemper) are soul mates. They love spending time together - often taking pleasure in small things like relaxing at home and even loading the dishwasher. Life would be perfect except for one thing. Max can’t understand why, despite his best efforts, Katie leaves him everyday. He tries everything to prevent this - including cute tricks and twirls - and yet Katie still leaves. All he can do is stare at the door until she returns. Oh, did I mention that Max was a dog? Thankfully, Max’s friends - all fellow pets - drop in on him while Katie is away. Each animal pal lives a secret life unbeknownst to their owner. However, when Katie brings a new dog called Duke (Eric Stonestreet) home, Max’s happy life is turned upside down. The Secret Life Of Pets is Universal Pictures’ fifth collaboration with Illumination Nation (the film production business that brought us Despicable Me and Minions). The two companies marketed this animated feature - heavily. As a result of this and the film's amusing trailer, I was looking forward to The Secret Life Of Pets. However, I left the cinema feeling disappointed. But first, let’s focus on the good stuff. The film's opening scenes are breathtaking - zooming through a wonderfully animated New York. Certainly an impressive (and actually quite dizzying) beginning. Indeed, the animation in The Secret Life Of Pets is bright and attention grabbing throughout. I’m sure that many pet owners have wondered what their animals get up to when they are out. This intriguing concept allows director, Chris Renaud, to introduce a bundle of cute characters and play with our preconceptions - none more so than with Kevin Hart’s stand-out fluffy bunny / unhinged psychopath, Snowball. However, what could have been a hilarious sequence of revealing pet introductions, instead feels overly familiar - a result of it having been seen countless times in the trailer. A real shame as these are the film's strongest and (arguably) funniest moments. Despite this, the scenes remain entertaining - particularly that of the (well-observed) cat, Chloe (Lake Bell). 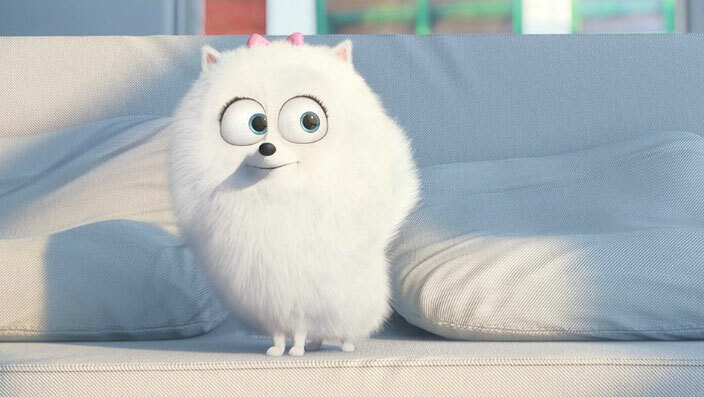 Introductions over, The Secret Life Of Pets plunges into a crazy canine caper. Max and Duke find themselves in danger on the streets of New York as little white pooch, Gidget (Jenny Slate) endeavours to save them. There are many laughs to be had alongside a whole lot of cute. The film's central characters are likeable enough if (Snowball and Gidget excepted) not particularly memorable. Sadly, The Secret Life Of Pets never really develops its story - preferring to stick with a rather relentless series of running and chasing scenes. It feels as if the film is afraid to slow down in case we start to question its flimsy and often senseless plot. Nevertheless, the movie's colourful action and rude humour will, no doubt, keep younger children amused. 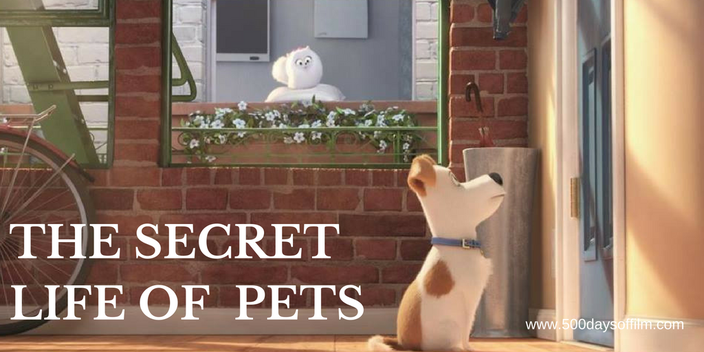 However, older kids and parents may leave the cinema feeling disappointed with The Secret Life Of Pets - finding themselves wishing for something more substantial… something more, well, Pixar. What on earth was going on in that scene at the frankfurter factory? That was seriously strange. Have you seen The Secret Life Of Pets? If you have, what did you think of Universal’s latest animation?